Nintendo has released a brand new trailer for Mario Tennis Aces. The trailer promotes the arrival of Kamek in online tournaments, beginning on April 1st. If you would rather obtain the character without participating in an online tournament, then you will be able to do so on May 1st. As always, we’ve included the trailer for you down below. I’m pleased to see Mario Tennis Aces still getting support from Nintendo. It’s good to hear from Kamek again. The way they animated Kamek is really cool. I would have preferred his design though to be a little different from other magikoopas. And I don’t see a lot of spin offs of Yoshi’s arch-enemy. You mean you don’t see any? I think that’s because he’s not interesting. How is Kamek not interesting? He basically raised Bowser from a baby and has been present in countless Mario games. Honestly, the fact he still hasn’t shown up playable in Mario Kart astounds me. But…Waluigi is already in Mario Tennis Aces. I’m scratching my head in confusion here. Thing is; Kamek was never a spin-off character, he is based on the Magikoopas which debuted in Super Mario World. Yeah sure he was given a name and a personality but he still was based on a non spin off character. Not to mention since his creation, he’s appeared in many Main Series Mario Games so even if you want to say he started as a spin-off, he definitely isn’t today. Hell, there’s some people that will even go so far to say the Yoshi Series is apart of the main Mario Series. I definitely agree Waluigi should get a game that has him appear in a main role but just him? No, I think it’d be safer to also include Wario, a “Super Wario Brothers” is you will. Waluigi is well-known, don’t get me wrong, but Wario is on a whole other level and if you ask me; If you’re gonna have a game that has Waluigi in a main role, it would be a massive missed opportunity to not include his partner. 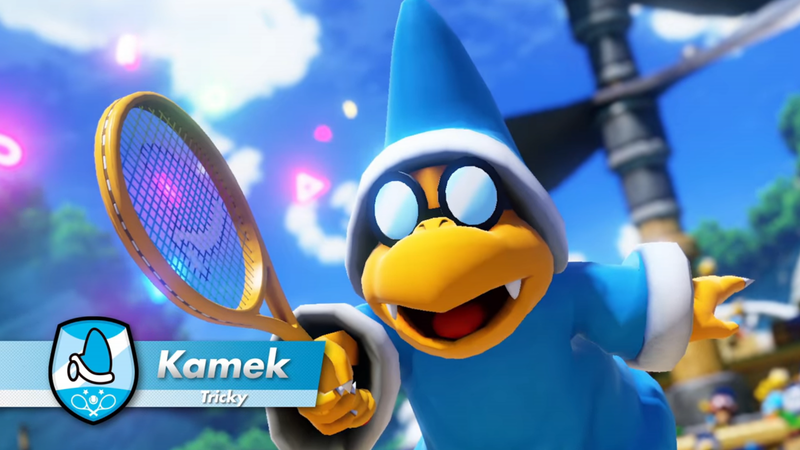 The argument I was making is that Kamek is fine, just no where NEAR worthy of starring in his own game. As for that last comment, well, Wario has plently of games, and Waluigi has never been playable in a game Wario isn’t. Well, except for that one random game and watch game, but you get the idea. I think you’ve gotten the wrong idea, I never said anything about Kamek getting his own game, I just questioned to how he’s not interesting. Would I say Kamek should get his own game? No, I wouldn’t, but that doesn’t mean he’s not interesting. *Sigh* I really should learn to stay out of stuff like that.